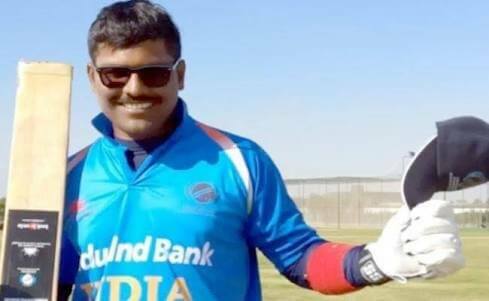 Ajay Kumar Reddy , the captain of Blind Indian Cricket Team , who recently conquered Blind World Cup 2018. Ajay hails from a small village called Macharala, Guntur District in Andhra Pradesh. He started playing when he was just 6 years old. The cricketer is a farmer’s son. He lost his vision in childhood due to an eye infection. Cricket was his passion but it was not possible for him to play normally because of his vision. The captain joined Lutheran School for blind on advice of his doctor. There he got chance to play cricket and he continued his passion. Ajay Kumar is a B2 category player (can see upto 6 metres). He made it to state team in 2006 when he was in 10th standard. Mr. Reddy pursued his graduation from Aliya College, Hyderabad. Thereafter , he joined clerical job in State Bank of Hyderabad. Ajay paved his way into Indian team in 2010. He bagged 2 Man of The Match award in his debut tour to England. The cricketer played vital role by batting aggressively in ODI World Cup in 2014. He used to be known as skipper of team. In 2016 Ajay Kumar was appointed as captain of team after retirement of Shekhar Naik. He led India to win Blind T-20 Asia Cup 2016 by defeating Pakistan at final. The captain played key role in Blind T-20 World Cup 2017 triumph. He claimed 9 wickets in tournament and became leading wicket taker in series. Under Ajay’s captainship , Indian Cricket Team won world cup 2018. India played against Pakistan in the final of world cup. The blind cricketer has campaigned for visually impaired cricketers for government support. Ajay Kumar Reddy is benchmark for all visually impaired person who wants to play.